I am a big fan of writing letters and thank-you notes on real paper and correspondence stock. 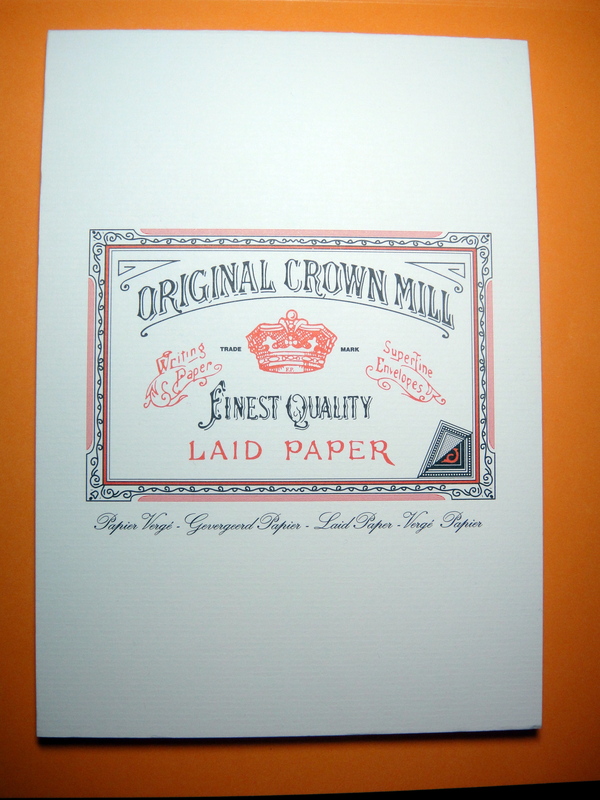 Original Crown Mill has become quite popular in the last few years so I thought I would write a review on their laid paper correspondence pad and envelopes. The Original Crown Mill paper has been made by Pelletier & Co in Belgium since 1870. The 50 sheet correspondence pad is glue bound at the top and does not come with a blotter sheet; you do however get a lined guide sheet to put under the paper so you can keep your writing straight. The paper is the standard A5 size (5.83″ × 8.27″) and has a 100g weight. I really like the look and feel of the paper; it is laid so you get a very attractive ribbed texture. This paper is supposedly a replica of a handmade 17th century writing paper commissioned by King Charles II. 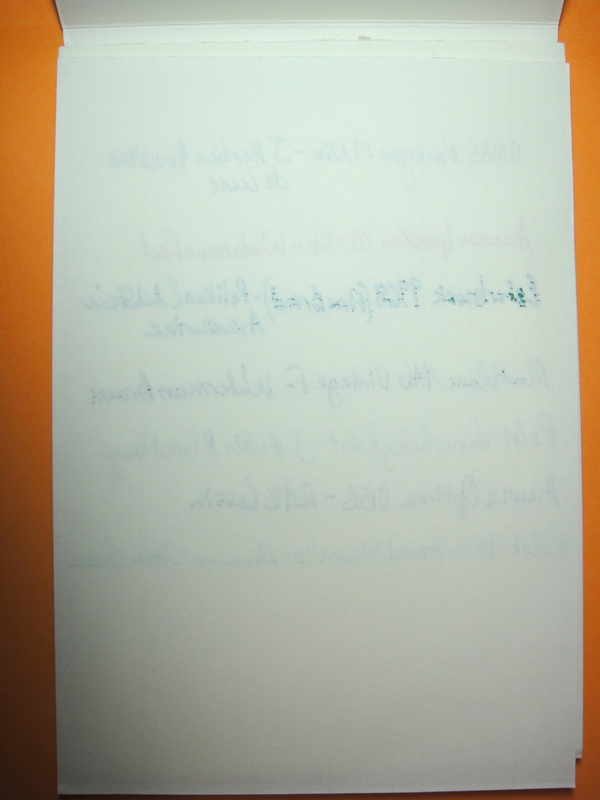 Unfortunately this paper has quite a bit of feathering and some bleed through with the more juicy pens. 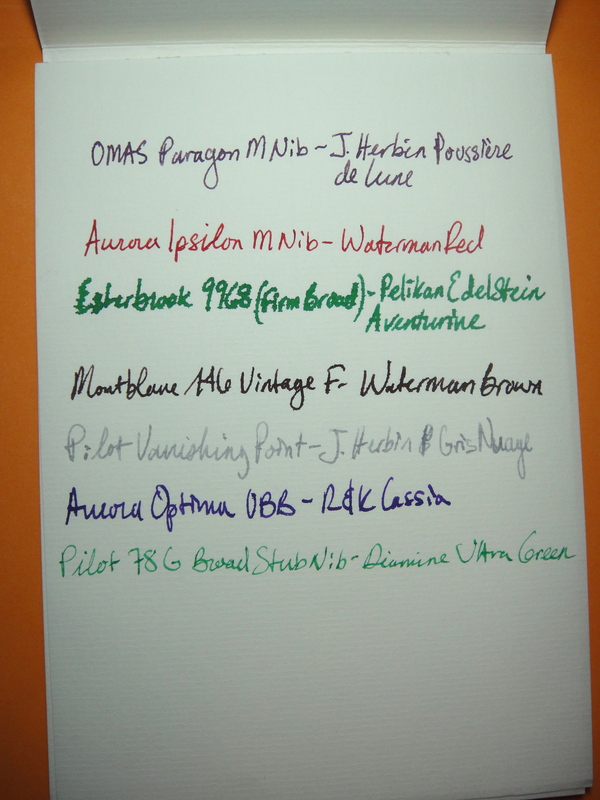 If you like pens with a fine nib I think this paper will work well for you but if you like writing with a wider or wetter nib there is better paper out there. 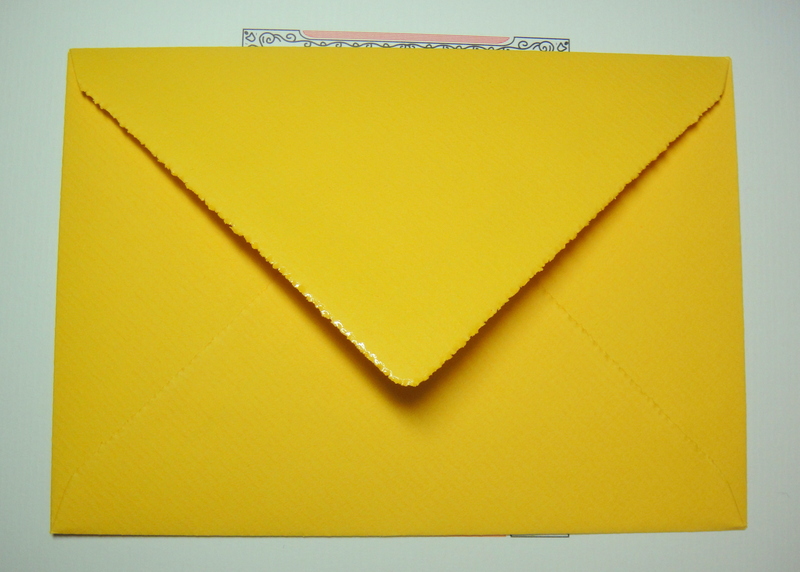 I love the color of these orange/yellow envelopes and I wish I had bought a pad in this color. 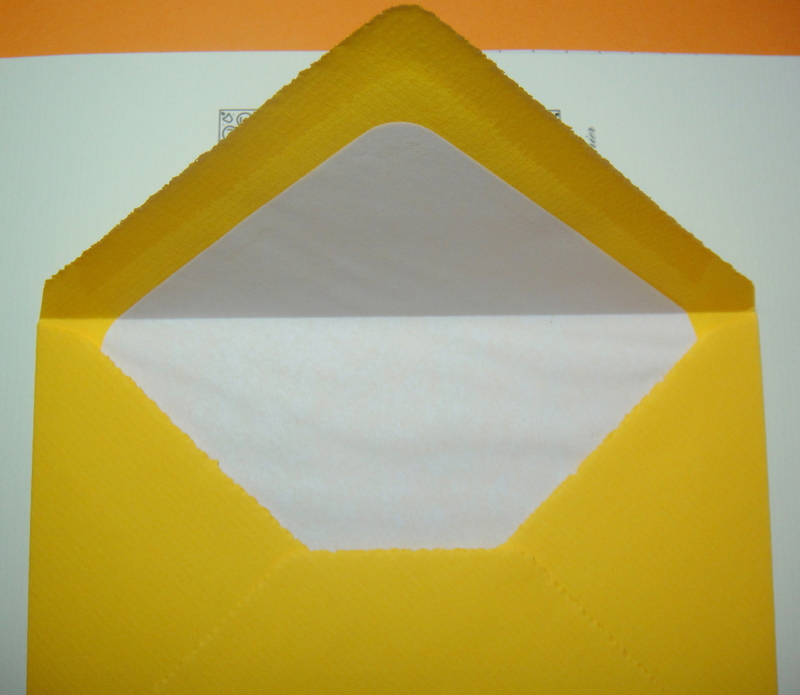 The envelopes come in packs of 25 and are lined with white paper. Original Crown Mill also makes a cotton paper as well; the cotton paper is more expensive and doesn’t take the ink as well as the laid paper so I have not repurchased it.